AICN Exclusive! 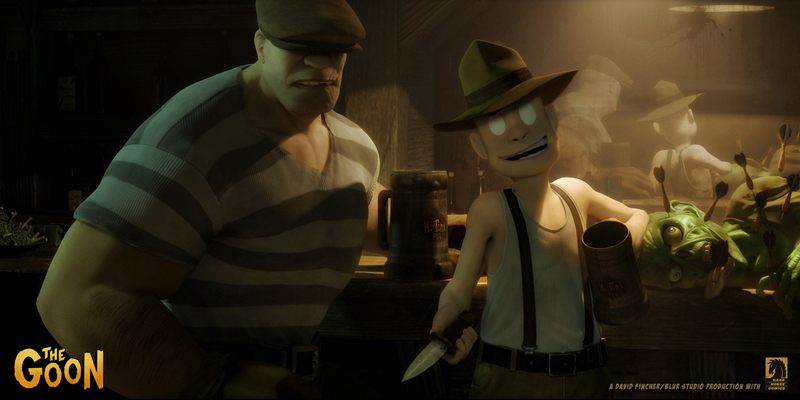 Your first look at the animated GOON movie, produced by David Fincher!!! The flick will be animated and below I have your first look at what an animated Goon flick produced by David Fincher looks like. Right this very moment Powell and a ton of Goon fans in Nashville are probably still kicking it at a 10th Anniversary of The Goon party. While they get into all sorts of eye-knifing trouble you get to see the first look anywhere of the in-development animated GOON flick! Make sure you click it for the high res version!